Who is Steinbeck Rotary and why volunteer? Steinbeck Rotary Club is an active service organization and we enjoy volunteering and being personally in touch with our service projects. 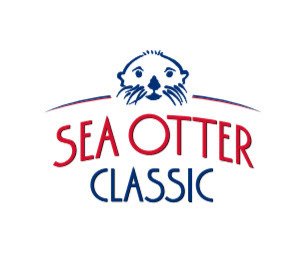 Proceeds earned from the Sea Otter Classic will go towards helping our community. Visit www.steinbeckrotary.org for more info. How do I get into the event? You will need to pick up a bracelett that will get you into the event. Email us and we will let know where the secret meeting places are. Who can volunteer? Pretty much anyone over 21 can volunteer. This is not just for Steinbeck Rotarians! Friends, locals, visiting Rotarians, relatives, co-workers all all eligible to sign up. Again, you must be at least 21 years of age at the time of signup. Do I need to be certified bartender or have an ABC "Responsible Beverage Service Training" certificate in order to pour beer? It is preferred that you have an ABC card but if you don't we can train you onsite. You need to be at least 21 years of age and you must have your ID on you at all times. Volunteer Contact: Mark Kimber at [email protected]. Directions: Exit Highway 68 and park in the Wolf Hill General Parking. Cross the track at the bridge below the yellow star, and the bridge at "E" to access the infield (follow the crowds). Proceed to the yellow square (F-4), on the map, denoting the BEER & BBQ GARDEN. Click Here to chck out the dynamic map. Special Instructions: All shifts, meet Kimber at the FOOD COURT by the lake. Kimber will then give you your location assignment. Give yourself at least 30 minutes to hike from the parking lots to the beer garden. No joke. There will be lots of people, bottle necks at the bridges, getting lost, etc.... Arrive 10-15 minutes early and do not be late for your shift. Feel free to volunteer for more than one shift! Volunteers must be over 21 years of age and must carry their Pour Card and ID Card. Former RYE - & I might sneak off for a bit to see my dad finish his race. I would love to volunteer! My son has a baseball game til about 1:30 so I can start about 2. My husband would like to volunteer too but we need to take turns because we have small children to watch. Will there be a pass at the gate so we can get in? I do not have a pour card but I am over 21.